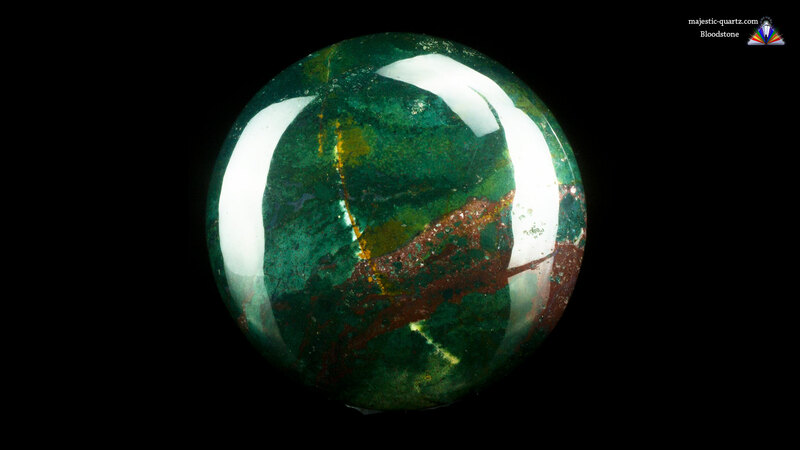 Bloodstone is a member of the Crypto-Crystalline family. 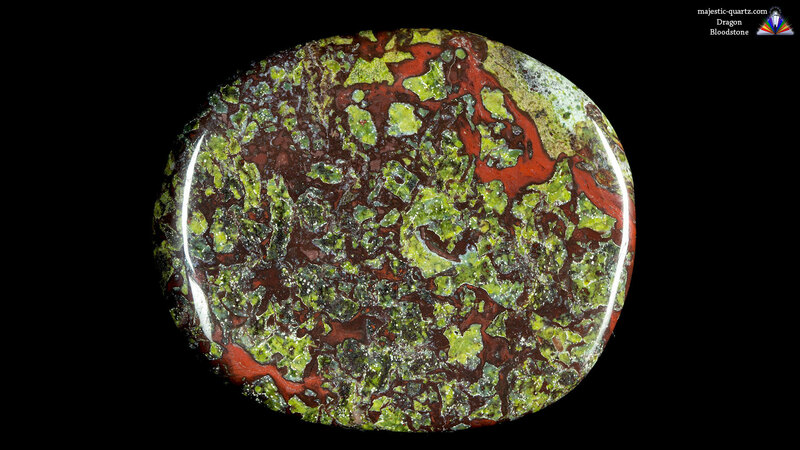 It is called Bloodstone due to the appearance of red spots of “blood” on a dark green background. 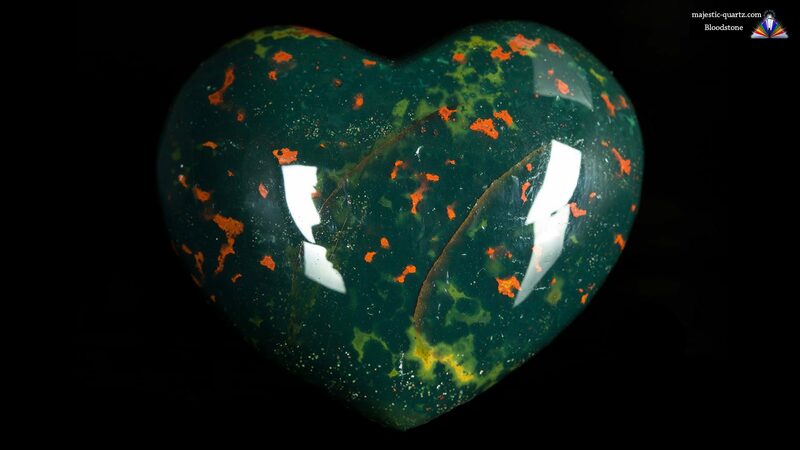 Read more about Bloodstone crystal healing properties, complete with beautiful photo galleries and desktop image! 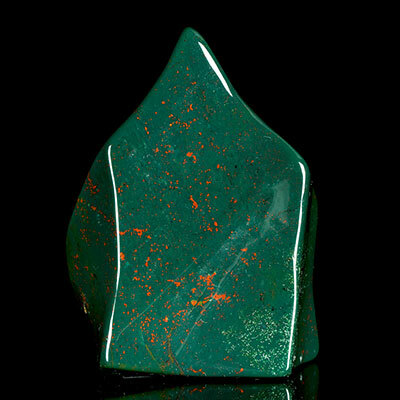 Bloodstone provides lots of primal energy, giving one a great boost while undertaking large projects. It increases confidence and surety of mind, dispelling negative energy, ensuring unimpeded forward progress enabling one to overcome any challenge that may be presented. 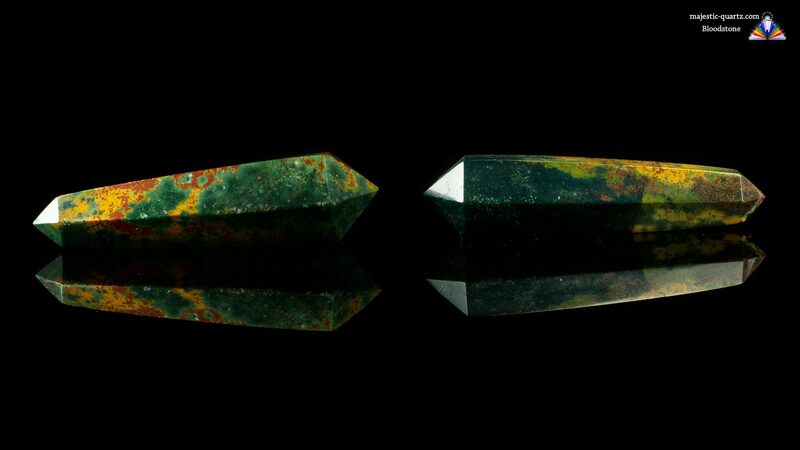 This stone has a strong focus on cleansing and energizing blood, along with keeping the reproductive system for both male and female in tip-top shape. 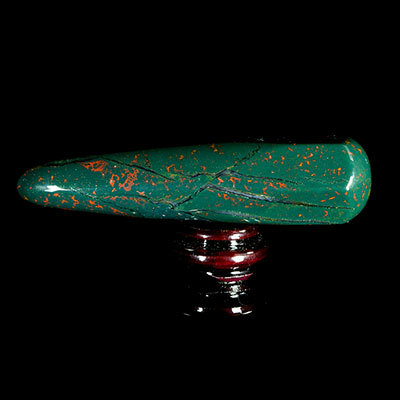 Tumbled stone, small wand or freeform of Bloodstone can be taped to the inside wrist overnight. This will ensure the blood passes by the stone and is cleansed many times through the course of an evening. Thus the body gains a tune-up while asleep! 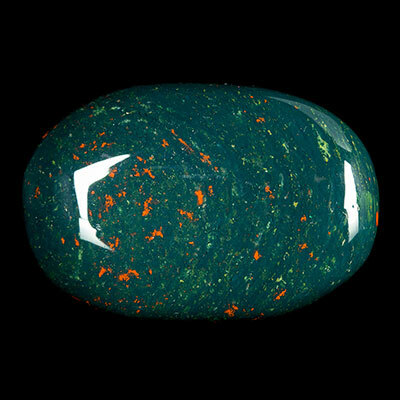 Have a Bloodstone on your person while on big challenging projects, and times where courage is required. Meditating with this stone will bring clarity and surety in any given situation. This is a relatively new find from Australia. 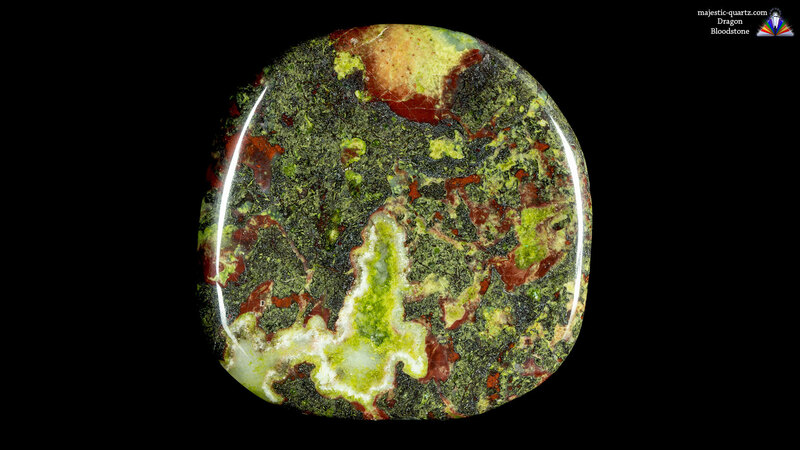 Dragon stone is a combination of Epidote and Red Piedmontite. 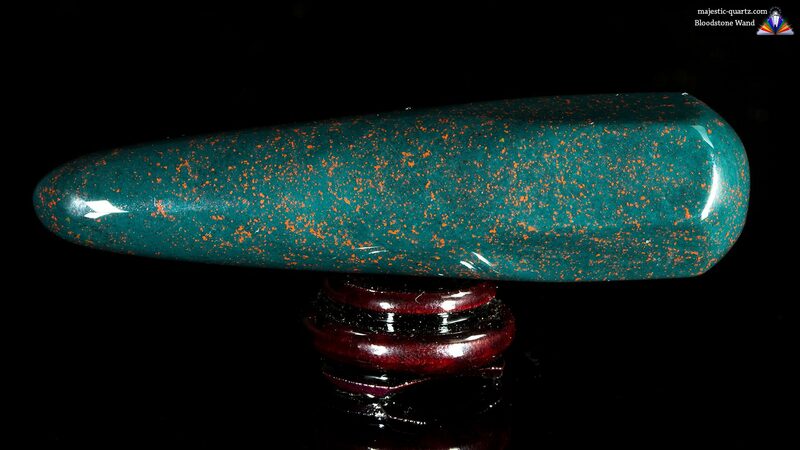 Dragons Blood Stone has a transforming ability to push through the toughest issues that arise. It amplifies the positive assets in ones beingness and has a canny ability to not amplify the negative. When carried in your pocket it lifts your spirits and keeps you balanced – burning through any negativity that may come your way. Not that you’ll feel it because you will be to busy feeling like a super hero!!! 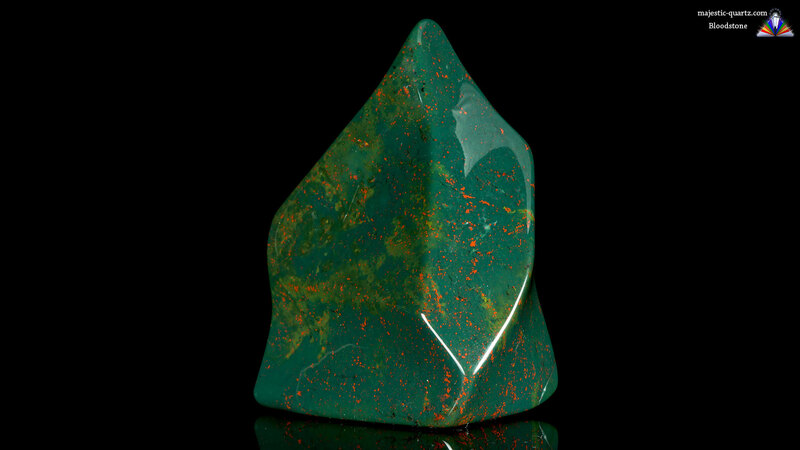 Bloodstone is a solid option for taking on large projects, adding vitality, creativeness and surety along the way. It gives a strong boost in personal power and cleanses the body and mind. 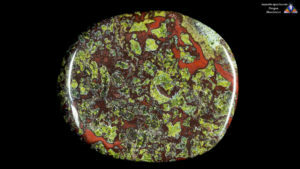 Click the Bloodstone Samples below for a high resolution photo! 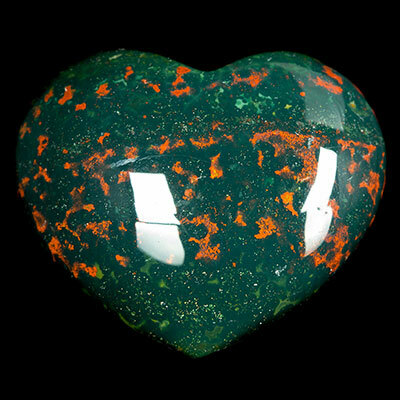 Do you have a personal experience, question or information pertaining to the crystal healing properties and meaning of Bloodstone? Please feel free to use the comments form below to share your knowledge with the Crystal Information encyclopedia. Please note, we moderate this feature to keep the site free from unwanted spam.